Triangle Family Dentistry is committed to your total comfort and relaxation. We are proud to offer cutting-edge, advanced dental technology for North Carolina families in Morrisville, Wake Forest, Fuquay-Varina, Cary Park, and the surrounding communities. We feature the very latest in procedures and materials and offer exceptional dental care that is convenient, efficient and affordable. Not only do we offer the very latest in advanced dental technology, we also offer numerous in-office amenities to make your visit as comfortable, relaxing and enjoyable as possible. 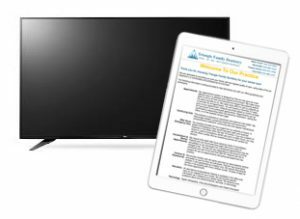 For example, we provide iPads for you to complete your new patient forms, eliminating the need for costly and time-consuming paperwork. If you’d prefer, you can also complete these forms online BEFORE you come to our dental office. If there’s a brief wait for your visit to begin or when you’re accompanying a family or friend to their appointment, you can enjoy a variety of programming on our widescreen LED TV’s, or take advantage of our free and unlimited WiFi to catch up on emails, check up on your social media, watch a movie on your mobile device, or simply crush some digital candy (or play another favorite game). 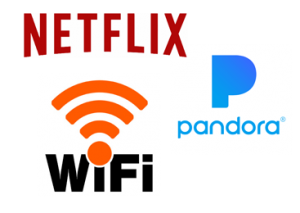 While you’re in the dental chair, you can kick back and watch a movie on Netflix or listen to your favorite music on Pandora, all while we work to restore your oral health and improve your smile. Plus, every patient receives our spa-like hot towel service to help you feel refreshed and relaxed. To learn more about why Triangle Family Dentistry has grown to become one of the areas leading dental care providers, schedule a consultation with one of our dentists today. We offer exceptional general, cosmetic, and restorative dental care using the very latest dental technologies and procedures to help you achieve a beautiful, healthy smile that will last for many years to come. Some of the advanced dental care and smile restoration services we offer include dental implants, sedation dentistry (including IV sedation), the Chao Pinhole® Surgical Technique, Lumineers, and Invisalign. We offer ALL of these services in-house, which means you never have to leave Triangle Family Dentistry to receive the beautiful, healthy smile you deserve! In addition, we also utilize a variety of advanced dental technologies to help ensure your visit is fast and efficient and that you walk away with the highest level of service available. CEREC is one example of the advanced technology we use at Triangle Family Dentistry. All of our locations offer CEREC, the same-day dental crown technology that allows you to receive your new dental crown in just one visit instead of spreading it out over two or three visits. Our guests appreciate this convenient, time saving option because there are more things to spend time enjoying. The days of traditional film x-rays are gone at Triangle Family Dentistry. Using a digital sensor that is electronic and connected to a chair side computer, we capture images of each tooth that can be projected onto the monitor for our dentists to view instantly. Time spent waiting for films to develop in toxic chemicals is a thing of the past. Once on the screen, the digital x-ray can be enlarged for a better visual of each tooth’s structure and detail. Small cavities or cracks and defects can be detected easier by adjusting brightness and contrast. The good news is that all of this is happening right before your eyes! Our guests tell us that they appreciate being able to see what the dentist sees. Digital x-ray technology at Triangle Family Dentistry is efficient, environmentally safe, and convenient! 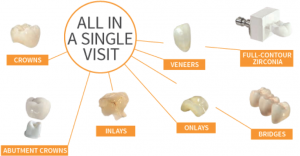 All of these add up to a faster, safer, more convenient visit at Triangle Family Dentistry! More efficient than traditional air-driven handpieces, this new technology reduces procedure time with precision and speed. Plus, fiber optics project illuminating light, providing greater visibility to perform the necessary dental procedures. It’s a faster, more comfortable service with a better result for you. A picture is worth a thousand words! 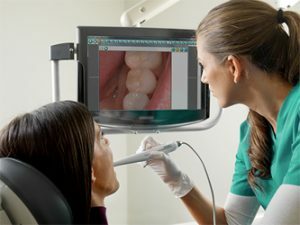 Using a video camera that is shaped like an over-sized pen, the dentists at Triangle Family Dentistry can take high-resolution images of your teeth and instantaneously display them on the computer monitor. 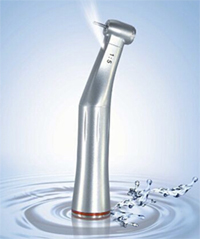 This advanced technology is a helpful diagnostic tool and a fantastic educational aid. Instead of merely explaining what’s happening inside your mouth, our dentists can actually show you. And our guests tell us that seeing is believing! 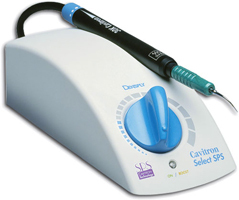 Better than traditional ultrasonic scalers, the Piezo Cavitron Scalers we employ help remove tartar, plaque, and stains faster and more efficiently. These scalers are equipped with fiber optics, making it easier for the hygienist to see inside your mouth, allowing them to work faster and ensure they’re removing every bit of unwanted tartar and buildup. When you choose Triangle Family Dentistry, you’re choosing the highest level of dental care available. We pride ourselves on making sure every guest has a relaxing, enjoyable experience in our office, one visit at a time! To experience this level of service for yourself, Contact Us today to schedule your next appointment.